If you have gathered from the past couple of posts, I kinda like fall. The seasonal gifts that autumn brings with its arrival are hard to beat. ONE. 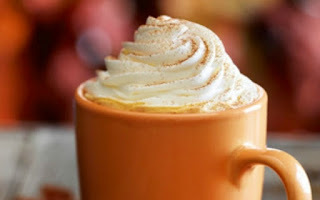 Pumpkin Spice Lattes. I can't believe I haven't had one of these yet this year, but I see that changing in the near future. Flavors and smells are a huge thing for me in these cooler seasons and pumpkin spice lattes embody fall in the little cups they're served in. TWO. Boots. 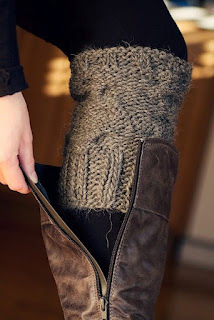 Riding boots, UGG boots (or a knockoff brand in my case), short boots; I love them all. And after seeing these all over Pinterest, I will definitely be investing in a couple pairs! THREE. Scarves. Oh my gosh...I love them. I even try to make scarves work in the summer. In the south. It normally doesn't work. Scarves just have the ability to make an outfit go from plain to incredibly cute. And the best part about them is that they can be incredibly inexpensive. Always a plus. FOUR. Hoodies. I really feel no need to explain this one. Fall is all about being comfy and cozy and a hoodie is just that. FIVE. Candles. I am a firm believer that cooler weather demands warm smells and candles become a constant in our home when the temperature starts to fall. I could probably list a few other things, but I'll stop there and instead make a promise y'all that I will try to make this my last post about fall and the things I love about it...but I cannot guarantee anything. AHHHH!!! LOVE LOVE LOVE all those things :-). Especially those faux boot socks...I hadn't seen them before. Must go investigate... Happy Fall-ish Monday to you! i want those boots. and the boot sock things. and a hoodie. and a scarf. and hot chocolate. FOR THE LOVE OF GOD WILL CHARLESTON PLEASE GET COLD. I LOVE FALL!!!!! All of these things make me so excited. Unfortunately, it's still so hot here so I haven't been able to pull out my boots yet. I'm impatiently waiting!